Many listeners of The Quiet Storm on 105.3 WDAS FM in Philadelphia have missed listening to the velvety smooth voice of radio personality Tony Brown as he recovers from an undisclosed medical condition. There is no set date for his return to the airwaves. While Tony is recovering, long time station host MiMi Brown has taken over holding down The Quiet Storm each night from 7 PM to Midnight. 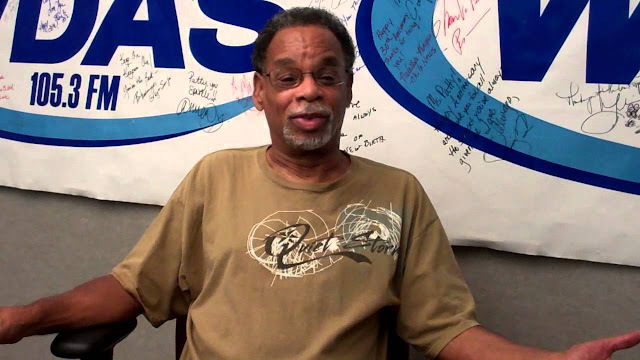 Last year Tony Brown celebrated 45 years in radio with the majority of those years at WDAS FM beginning in 1972 with the Extra Sensory Connection from 10 PM to 2 AM along with the Midnight Transition. 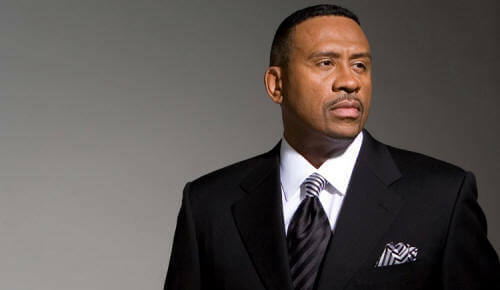 He left the station in 1991 to start the Quiet Storm format at now sister station Power 99 FM WUSL. He returned to WDAS in 1997 in the 7 PM slot. You can send out a prayer or get well message on the Tony Brown Facebook page. You can leave your comment under this post on his Facebook page: "Please continue to send healing prayers for my husband, Tony Brown. Thank you. ~Sunshine Brown"
It has been almost a year since Tony became seriously ill. I have decided to share more details with you all, as we very much need your prayers and support. In January of 2018, Tony began having a series of mini strokes. In April, he had a brain bleed, which has left him non - verbal, immobile, and on a feeding tube. He has made a little progress...He smiles, laughs, says a few words, has started eating soft foods, and understands some things. But the extent of his recovery is uncertain, at this point. He receives around the clock skilled nursing care. Our insurance will not cover the cost of most of his care. This has been a very trying time, but our faith has not [sic] waivered. We ask for your continued prayers and support, and we are so appreciative! You can lend your financial support for Tony Brown's recovery by going to his Fund Me Page [here].